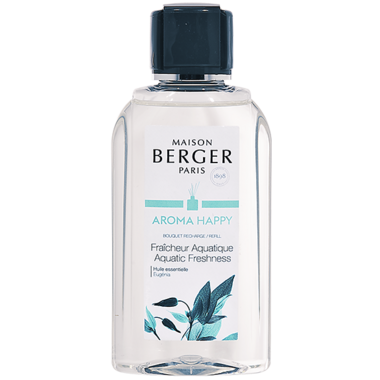 200 ml Refill for the Aroma Bouquet Happy in the Aquatic Freshness scent. A fresh and crisp fragrance conducive to a joyful and lively atmosphere. Formulated to create a sense of joy, this fragrance contains essential oils such as clove which boosts morale and physical health and releases blocked energy.